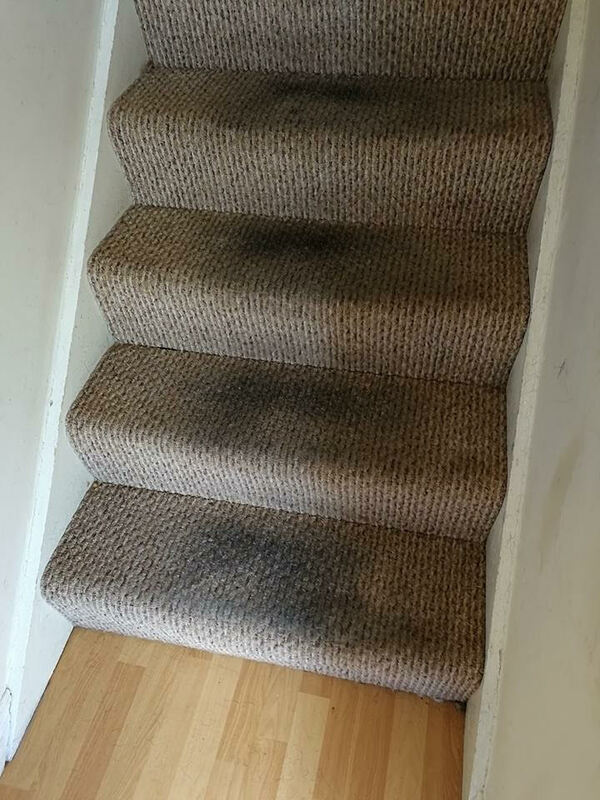 These carpets in Weybridge, Surrey were filthy and badly marked at the end of a tenancy and were in desperate need of a really thorough professional carpet cleaning treatment from Elmbridge ovens & carpets! There was a multitude of spots and stains all of which were removed and overall they cleaned up really well which saved the tenant from expensive replacement costs. Having had dogs in the property as well, the carpets were deodorised and sanitised afterwards to help rid the smell of pets and make them nice and hygienic for the next residents. 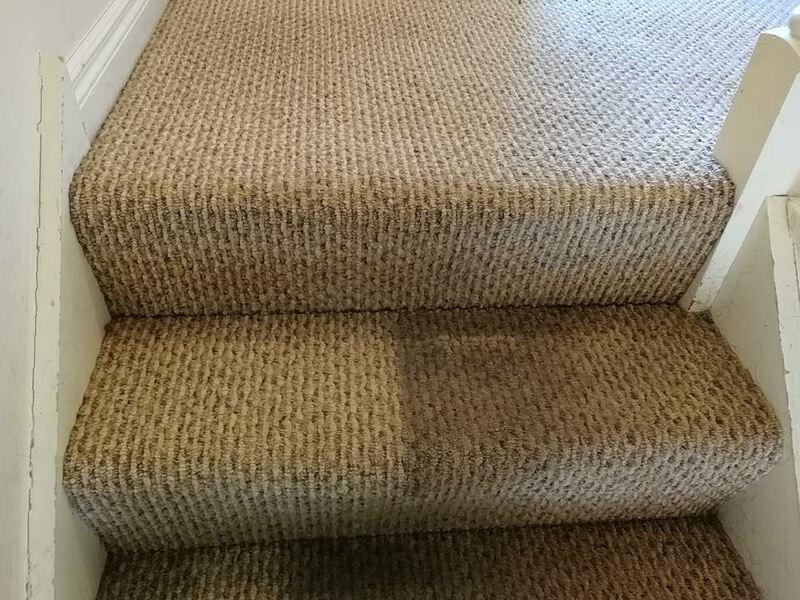 Click on the below images to enlarge them and see how bad the carpets really were, and the great difference we made after our professional carpet cleaning services in Weybridge. When it comes to removing juice stains from carpet, you want to act as quickly as possible before the stain sets in. Blot the fruit stain with a paper towel, blotting away as much of the liquid as possible. You can also use a clean cloth. Spray lukewarm water directly onto the stain. Make sure it’s lukewarm, not hot. Blot the stain again using paper towels, or a clean white cloth. You want to avoid using a circular motion when you’re wondering how to get juice stains out of carpet; the best way to blot the stain is by applying pressure to the stain and removing the paper towel or cloth, repeatedly. If the juice stain is still visible, mix ¼ teaspoon of carpet shampoo with one liter of warm water in a bucket. Stir the solution. Apply the solution directly to the stain. Blot the stain with the towel repeatedly. Rinse the juice stain with warm water. Place a clean, dry towel over the stain and place a heavy object over the towel to hold it in place. This will help apply continuous pressure to the affected area when you’re wondering how to remove juice stains from carpet. Wait a few hours before removing the towels and object. Eventually, the stain should no longer be visible.